Papers that I need to grade SOON! I am constantly telling my seniors to try and find out what they really are interested in and turn that into their career choice, because you might as well enjoy your career. I really love to read, and I read all of the time and not always for pleasure. I read a whole lot for my job. Right now, I have about one hundred essays to read, I need to start reading The Kite Runner for my senior English class, I am currently reading for a professional development group that I am apart of, I am currently reading for a cultural competency training that my entire school is participating in, and I am currently reading Cutting for Stone for pleasure. Another teacher stated: "I do not know how you read all of those paper." I do it, because I love it. Crazy right? But, I really do love it. Reading is food for my mind. 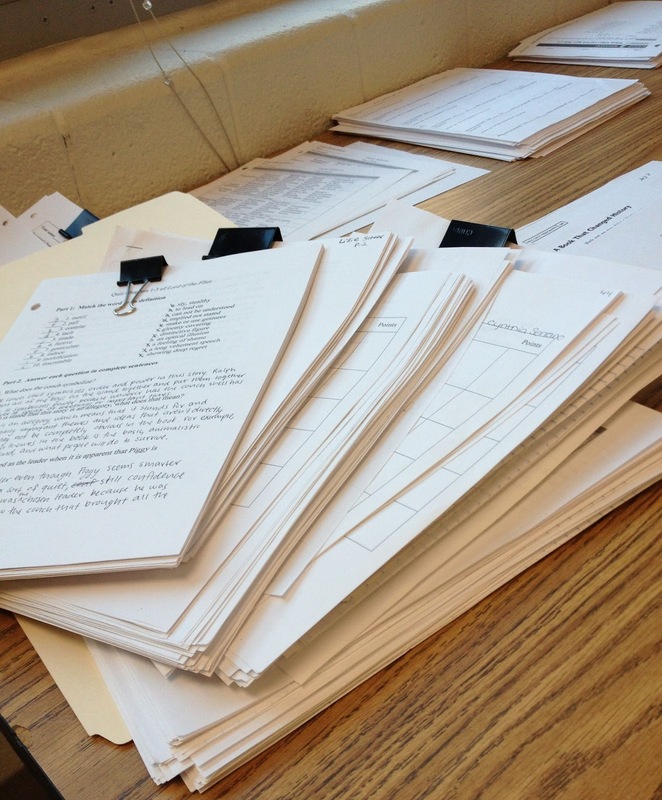 Reading my students' essays is an assessment of how I am doing as a teacher and how they are doing as students. Also, if I do my job correctly, every essay should be different and generate new ideas and new things for me to think about. So, how could I possible not enjoy reading all of those papers? People, I hope that you are doing things that you really enjoy or "change the way that you look at things, and what you look at will change." I will check it out for sure! Thanks for stopping by and leaving a comment.